The hubby is the easiest man to dress up. He just goes along with whatever outfit I wear. 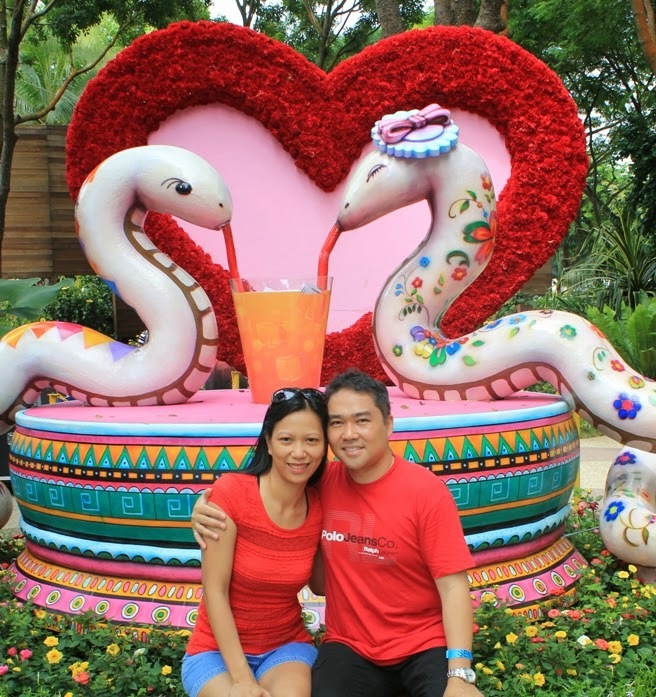 When we went to see Sentosa Flowers last Chinese New Year which fell around St. Valentine's Day, I wore a red top so he asked me to give him a red shirt to wear too.